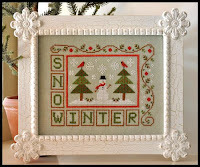 And yet the designers are still hard at work with more beautiful Christmas designs. 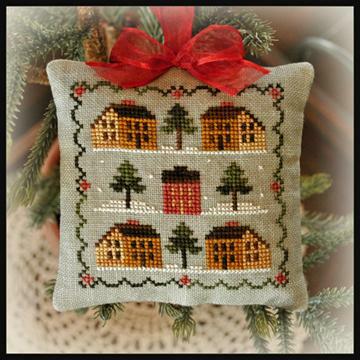 The final ornament from Little House Needlework is SALTBOX VILLAGE, scheduled to arrive before the big day. 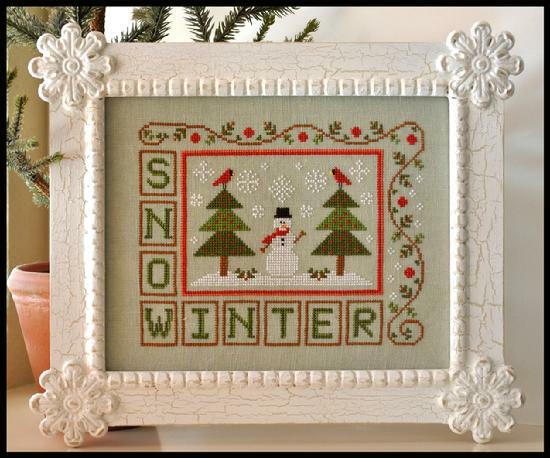 WINTER SNOW, from Country Cottage, will make you feel a part of the winterscape without the freezing. What a fun project. 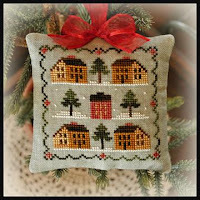 For those of us who enjoy Little House Needleworks projects, there is a biggie for 2013. 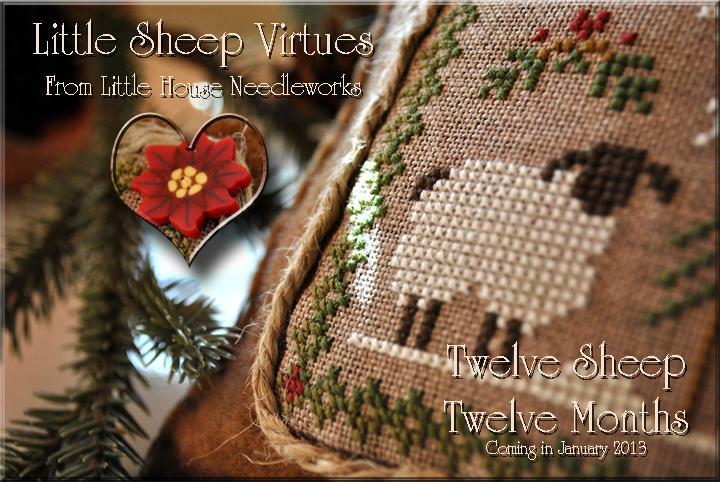 LITTLE SHEEP VIRTUE is a 12-part series to begin in early 2013. These darling lamb designs will have an optional JAB button adornment. We will certainly be participating in this fun project, so watch for more details. Here is a preview photo. Have you tried stitching on the hand-dyed gingham. 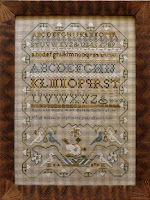 If not, here is a beautiful sampler to use as a beginning project. 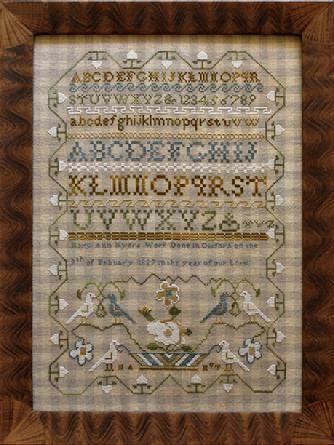 MARY ANN MYERS REPRODUCTION SAMPLER would make a wonderful heirloom. For all you Lizzie Kate followers, there will be a collection of 2013 Christmas Ornaments coming soon. We will let you know as soon as we receive pictures. We will be closed December 24, 25, and 26 - returning on Thursday, December 27. 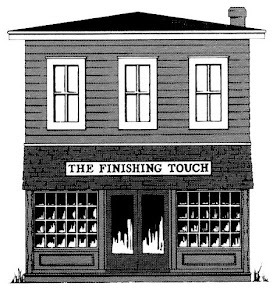 Saturday, December 29, we will be open from 10am until 5pm offering our 13% OFF EVERYTHING SALE to welcome 2013. See you there.